Hello there! Today's card is my Goddess card for Stampin' Royalty. This week's challenge is anything Valentine or LOVE themed items. 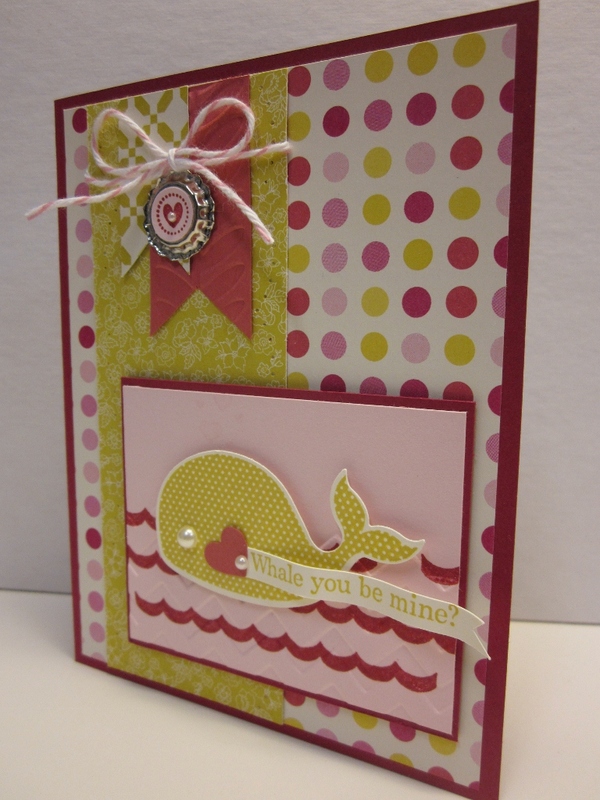 A card, scrapbook page, 3D item, anything goes. 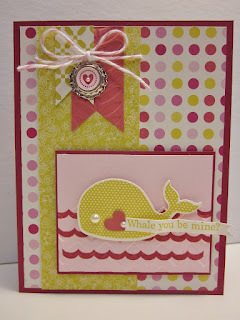 Grab your supplies, create something LOVELY and head on over to the Stampin' Royalty to link it up. 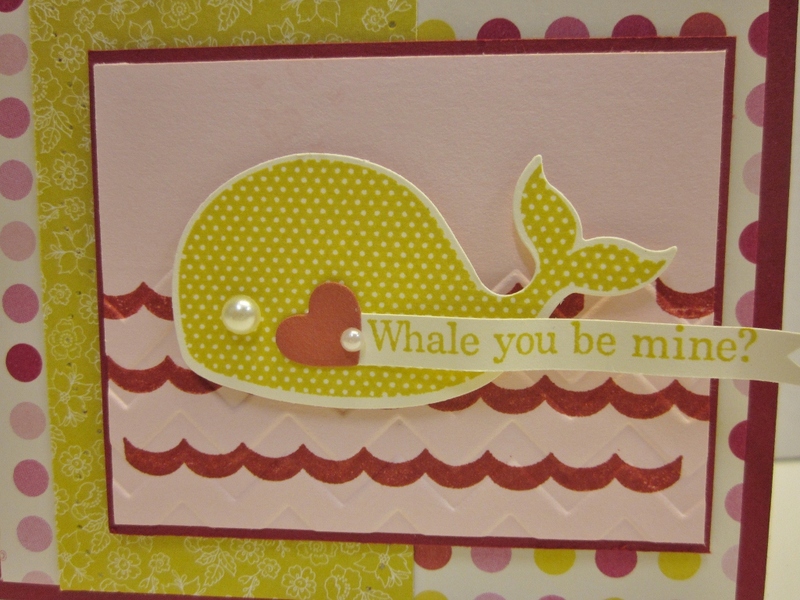 The star of the show is definitely this cutie little whale. He was stamped in summer starfruit Oh, Whale! 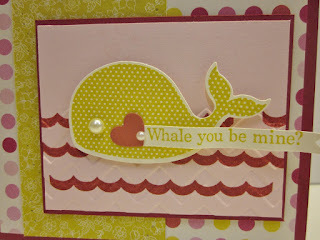 stamp set, then die cut with the matching happy whale clearlits, super easy! The sentiment, waves, and heart are also part of the package. 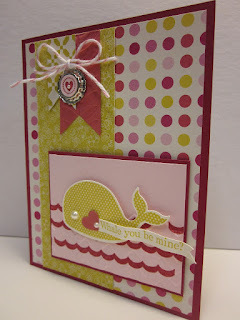 I stamped the waves first, then embossed just them in the chevron embossing folder to add definition to the waves, so cute. Soda pop tops are responsible for this cutie flag combo. This is the tiny top, flattened in my big shot. 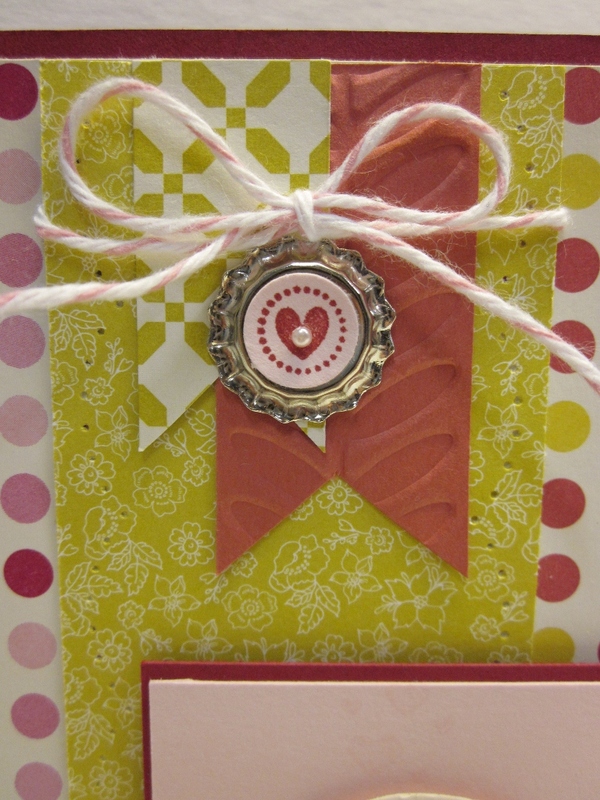 A itty bitty heart was stamped from the itty bitty stamp set, punched out and glued on back side of the top. Baker's twine ties it all together. I also used my piercing pack to make large scallop holes on my patio party summer starfruit DSP. 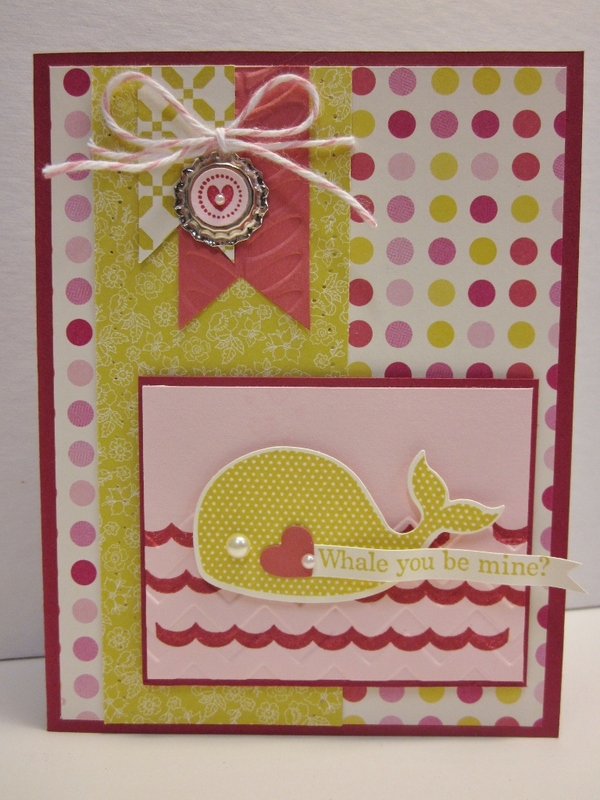 Do you love this polka dot pattern paper? It is part of the new Print Poetry DSP stack, 48 sheets of 4 1/2 x 6/12 paper. What's not to love? The primrose petal flag was embossed with the FREE vine street embossing folder, you can get yours free with any $50 purchase at my ONLINE STORE! Thanks so much for stopping by today, make sure you come back tomorrow for another LOVELY card. I hope you were inspired, enjoy! What a cutie in Primrose Petals & Summer Starfruit! Love his pearl eyeball!